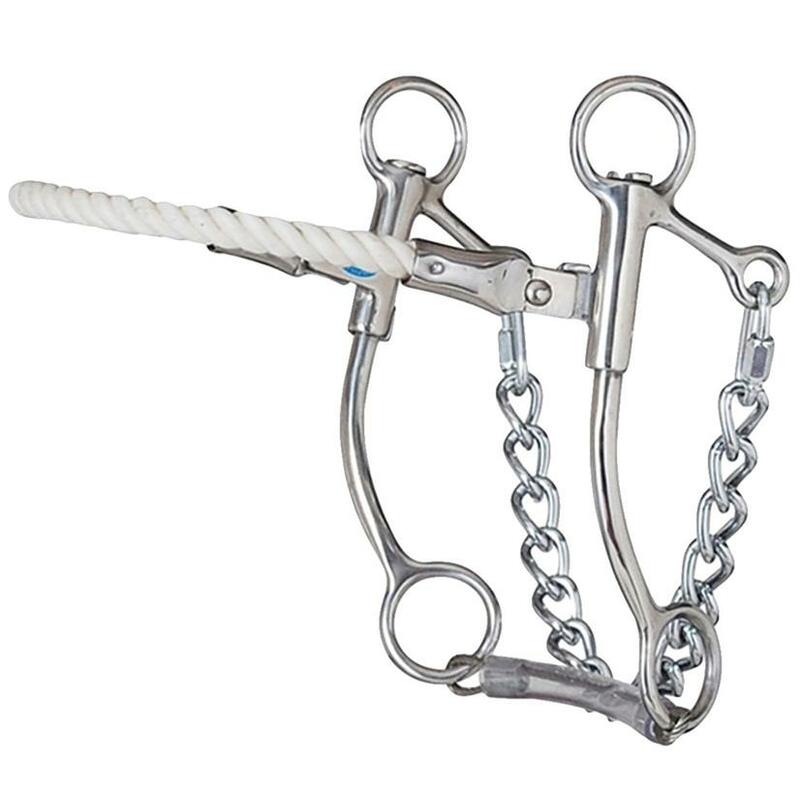 This is a hackamore with a rope noseband and a stainless steel finish. 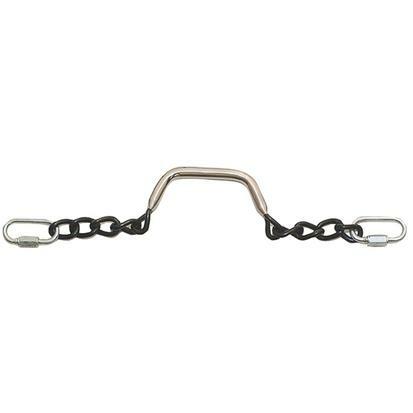 Has a quick link chain and covered cable slobber bar. 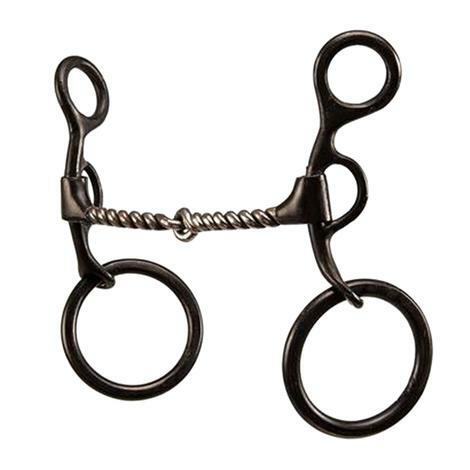 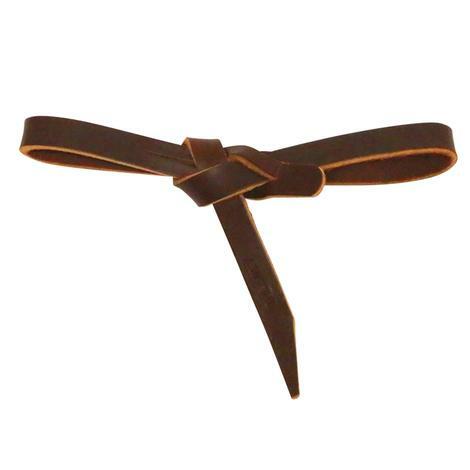 The cheek pieces are 7 inch medium shank swivel cheeks.